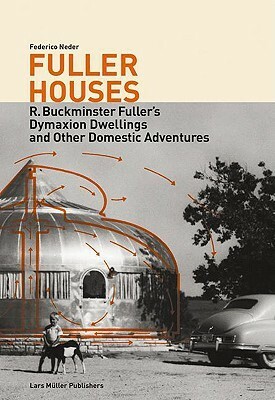 With the publication of the Dymaxion House in 1929, Buckminster Fuller became an overnight sensation in the world of American architecture. It was an uncompromising design and spectacularly novel. The living areas were hexagonal and attached around a central supply tower, and the multistory interior was fully climate-controlled. The house was conceived as completely self-sufficient a" all the necessary supply modules were contained in the tower, including water and wastewater, energy production, and air filters. The rooms were equipped with the most modern furnishings and fixtures. The approximately 150 m2 house weighed just 3 tons, cost no more than a car, and was designed to be constructed and dismantled anytime and anywhere. The house reflected Fullera (TM)s basic technological principle, his determination to achieve the greatest possible utility at the smallest possible cost in terms of energy and materials by making use of everything that science and technology have to offer. With its self-supporting structure and self-sufficiency, it also reflected another of Fullera (TM)s axioms: "A house should be completely self-sufficient and autonomous, just like a person." The Dymaxion House (which was only actually realized in other variants, such as the Wichita House) is widely viewed as a precursor to his geodesic domes.